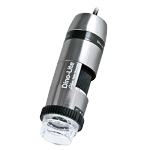 We specialize in High Definition HD 1080p USB Digital Microscopes which can be configured with various camera, lens, lighting, stand and software options to fit your budget and needs. Please feel free to contact us via email [email protected] for assistance and price list options. Price range can be from low end $199 to high end about $20,000 plus. VISA, Master, American Express and PayPal are accepted. We also accept company POs. If you need demo prior to purchase, please contact us. Please email us [email protected] for faster response. See partial list of our customers. Thank you for choosing YSC Technologies.